The Pointe Hilton Tapatio Cliffs Resort combines state-of-the-art meeting space, all-suite accommodations, and a vast choice of recreational incentives on a rugged North Mountain slope in Phoenix, Arizona. The resort’s 65,000 square feet of flexible meeting space includes Highland, a state-of-the-art facility able to accommodate groups of 1,200 attendees. 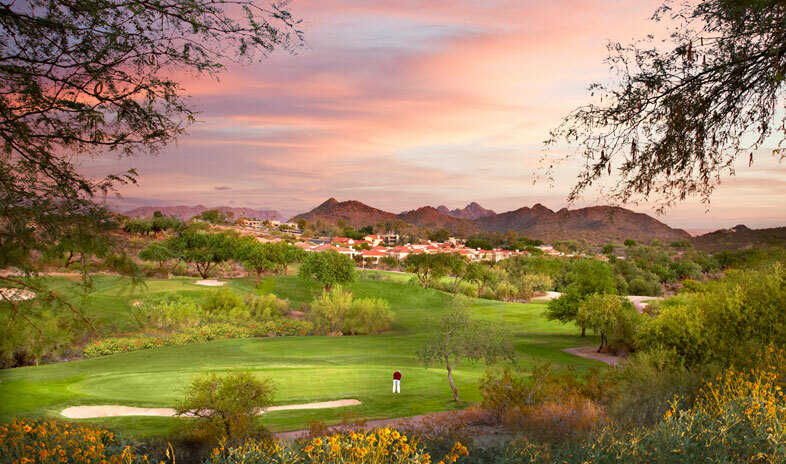 The choice for outdoor events starts with Hidden Valley, a picturesque site flanked by the pristine Sonoran scenery of the Phoenix Mountain Preserve. The desert’s natural beauty lends a similar backdrop to the Lookout Mountain Golf Club, where guests tee off just minutes from the meeting rooms and suites or start by honing their skills at the Hilton Golf Academy. Other major attractions include the Tocaloma Spa & Salon, the Workout Centre, and the Falls Water Village—three acres of pools, cabanas, waterfalls, and a 138-foot waterslide. Meeting planners especially appreciate the 584 suite-style accom-modations, which come in a wide variety of shapes and sizes. All view the Valley of the Sun from the main building or cliff-side retreats, most terraced into the mountain farther up the slope. For meals apart from the group, delegates head to La Cantina, open seasonally; Cascades Café for lunchtime favorites between the falls and pools; Pointe In Tyme for charbroiled dishes with an Arizona flair, and the award-winning Different Pointe of View, which specializes in fine cuisine and an eagle’s-eye view of the valley. Our group visited this property in 2010 for our Annual Leadership Meeting. The view from their restaurant (Different Ponte of View) was breathtaking, and the staff seemed eager to please. From the exuberant welcome by the bell staff to the spotless cleaned room to the noteworthy food and grounds, it takes an entire team—and yours is amazing.